PHUKET:I remember the day well. October 1, 2007. The people at CAT let me take a sneak peek at their new “AirCard” service – the first wireless broadband service in Phuket. I’m sad to say that, by the end of this year, that service will be officially phased out. 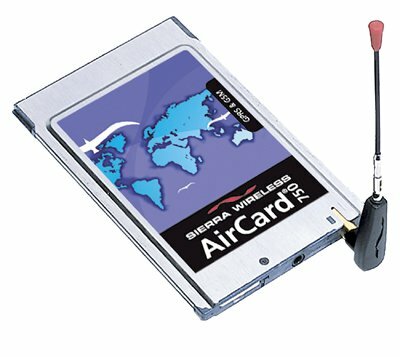 Most of the people who bought into the service, in the early days, bought a Sierra Wireless AirCard (“AirCard” is a trademark of Sierra Wireless). The AirCard plugged into a PCMCIA slot on your PC – back then, USB wasn’t common at all, but almost all laptops had wide PCMCIA slots. An AirCard cost 15,990 baht. Unlimited EV-DO service ran to 1,290 baht per month. I recall being absolutely delighted at the time that my downloads of Windows beta test versions would only take hours, instead of days. I downloaded Vista Beta 5728 that week on my TOT line and it only took two days. If I’d had the AirCard at hand, it would’ve taken four to six hours. It’s hard to believe this was just five years ago. Like the rest of Thailand, CAT has moved on to 3G. More accurately, to HSPA+, which is far faster and more reliable than EV-DO. The old CDMA network is being dismantled, and EV-DO will disappear along with it. I asked at the CAT office in Central last week what would happen to the people who still have EV-DO AirCards. They didn’t seem to be overly concerned: my guess is that only a handful of people in Phuket who are actually still using EV-DO. The bad news is that CAT has no plans to offer you a discount on converting to their “My 3G” network – the one based on HSPA+. The good news is that… well, there really isn’t any good news. EV-DO users are basically up a creek. As I explained two weeks ago, CAT has the least expensive, and arguably the best, “3G” HSPA+ service in Phuket. Getting started with My 3G will cost one-tenth of what EV-DO cost back in the day, and the monthly charges run at 800 baht, for high speed downloads up to 4GB per month. If you blow your monthly data cap, CAT throttles you back to a nominal 384 Kbps. (Don’t whine about the data caps too much, folks – they are now a fact of life everywhere in the world). Of course, 3G in Thailand is in a state of massive upheaval and uncertainty. Just like it was five years ago, come to think of it. Right now, as I also mentioned two weeks ago, there are rumors that CAT may shut down its My 3G program – or someone may shut it down for them. I figure that’s unlikely to happen, simply because so many people depend on 3G. But, well, you never know, eh? We have finally bought ourselves an iPad (the New…as there were no iPad 2s available). • Do we need to download any virus software? • Do you use Safari or an Apple version of Firefox? • Do you use a Dropbox program or use the iCloud? • Any tips and recommendations regarding free downloads that are a must – or the ones that are a must to purchase. • Do we need to register the iPad with Apple for the warranty (the staff in the Apple Store in Central were not very helpful). We would appreciate any advice/tips etc that you may have, if you have the time. There haven’t been any viruses on iPads yet. But you need to keep your ears open, if one should appear. I use Safari. I don’t like it. I may switch to Chrome or Firefox, but haven’t had the time to give it a run. I use both iCloud and Dropbox, but for two completely different things. Unless you need to work with your PC-based documents on the iPad, iCloud is probably all you need. You need to realize that you don’t need to hook your iPad into a PC any more, or download iTunes for your PC. You can connect your iPad directly to iCloud, and get everything from there. In my opinion, that’s a much better alternative (although there are some cases where you might want iTunes). Many people in Phuket don’t realize it, but you can get a pre-paid SIM card for your 3G iPad. Details and a lengthy discussion at thaivisa.com/forum/topic/552146-ipad-prepaid-3g-card/ . Yes, you should register your iPad. If the locals won’t do it, keep your receipt. Apple’s good about service. There’s also a list of good iPad apps here: W: t3.com/features/best-ipad-apps. GoogleEarth is amazing, same with Flipboard, both free. But I wouldn’t spend much money until you get a feel for it…. You’re going to find that there’s plenty to do and learn with just a plain iPad. Many of you may recall the PCs4Kids project, undertaken by Ross James and aided and abetted by a long list of locals. The project’s moving forward slowly. Right now Ross has an application in to Microsoft, asking for donated Windows 7 licenses for all of the refurbished computers. He reports that it looks like the licenses will be granted, but it’s taking longer than expected. A few of the computers have already been distributed to needy and deserving kids in Phuket, although most of them are still waiting for Win7 licenses. Ross reports that they’re going to expand the program a bit, to encompass local college and technology school students as well as younger kids. Ross says that they need monitors – any kind of monitors, but especially flat panels. “I want to push for flat panels, but I don’t want to turn anything down right now. Here is my angle: You are probably reading this on a screen that you will upgrade sooner or later. Why not do it now? Donations of used PCs, peripherals, screens, laptops (especially laptop batteries, working or not! ), memory chips, working or not – are greatly appreciated. Bring them by either of the Sandwich Shoppes, or drop me a line. Woody’s Sandwich Shoppes hold computer sessions under the tutelage of Seth Bareiss every other Wednesday afternoon, from 1 to 3pm. If you have a Windows problem that needs to be solved, drop by one of Seth’s free afternoon sessions. Details in the Phuket Gazette Events Calendar. Live Wire is Woody Leonhard’s weekly snapshot of all things internet in Phuket.